Told you I'd see you today didn't I?! I'm still not 100% better yet from my illness, I still feel horribly congested, but oh well. I did a bit of shopping today and bought a new pair of boots, the mid-season sales are so good! River Island is impressing me for a change. If you follow me on Instagram (@truly_polished) then you'll have seen them already, I love them! I even wore them to ASDA this afternoon! Anyway, I have a very summery polish for you today. I bought this last week when Superdrug had a 3 for 2 offer on their Maybelline products. I bought this and two others, and I went for more summery shades because I feel like I need to stay away from the dark blues! 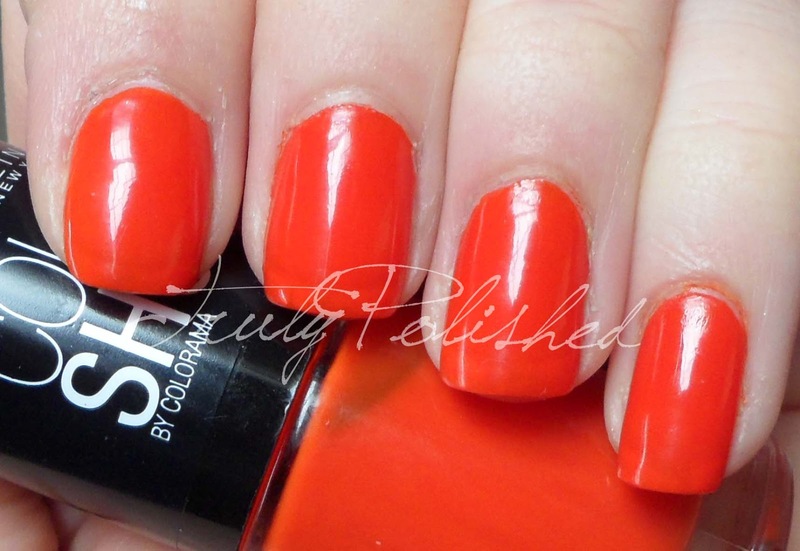 Orange Attack is a bright reddish orange polish with a jelly formula. 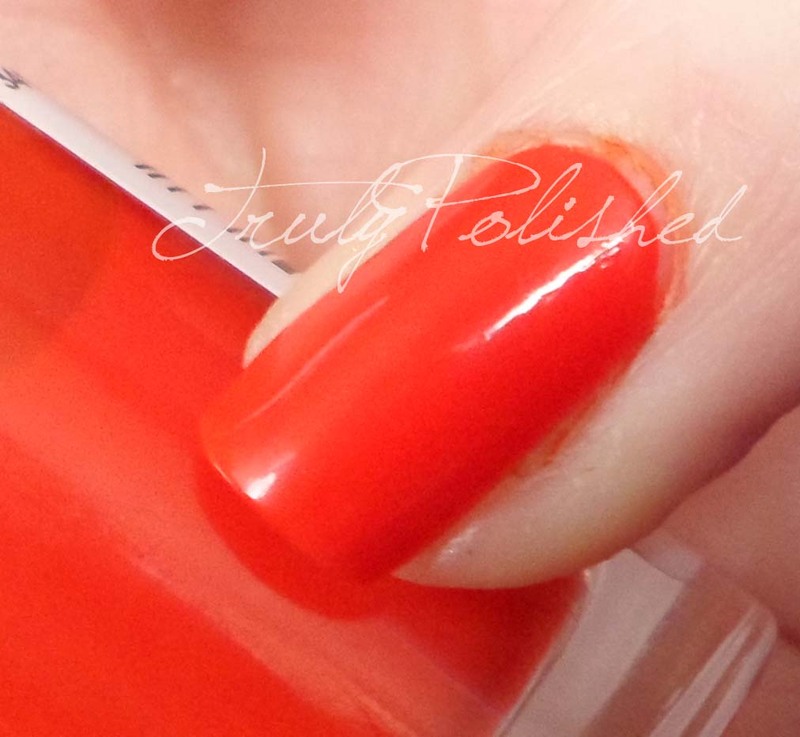 It has buildable coverage but is still sheer enough to see a visible nail line. I used three coats for the photos below. You can buy this at Superdrug for £2.99, and it's on 3 for 2 at the moment so it would be rude not to!